The layout is the fundamental building block of any kitchen design. 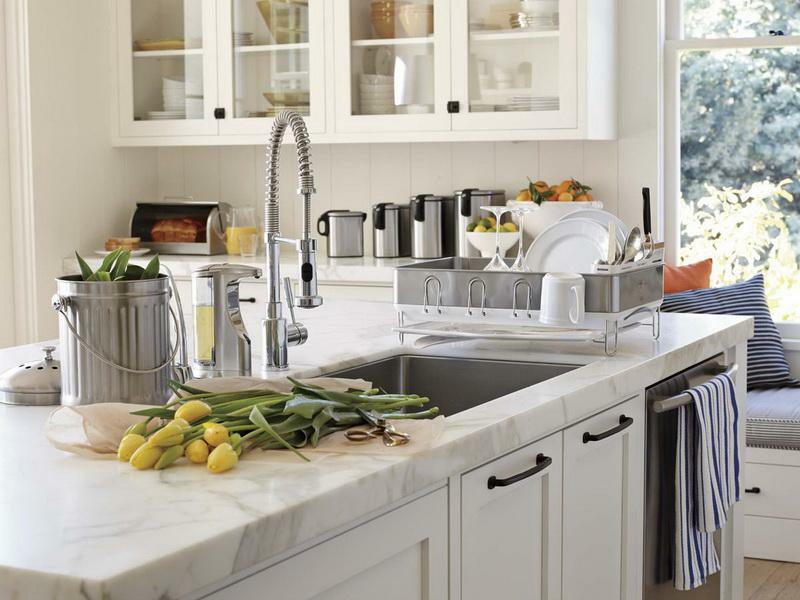 Get it right, and everything else from kitchen cabinets to countertops will fall into place. Get the layout wrong, and even the most stylish design packed with high end materials will not function well. An experienced kitchen design professional can help you define your key requirements from how you use your kitchen to who will be using it and how often and determine how to incorporate these requirements into a cohesive layout. The foundation for the kitchen layout was traditionally the work triangle, based on the idea that the oven, sink, and refrigerator must be near each other (but not too close) for your kitchen to function well. This concept worked in a relatively small kitchen only used for cooking. Today’s kitchens are the hub of the home, where everything from cooking to dining to homework happens. Kitchens have grown as well, often encompassing work space as well as the dining area and living spaces in an open plan kitchen design. If you have a large, busy household you probably do a lot of cooking, which also means a lot of cleaning up. You may also have a requirement to store larger quantities of food and supplies to keep up with the demand of your family. If you have children, you might need space for doing arts and crafts or homework. If you entertain frequently, then you may need a large beverage bar and an island with seating. Do you like to cook, to bake, or do you prefer ordering take out to share with friends over a glass of wine? Your requirements will dictate the style and layout of your kitchen design zones. 2. HOW MUCH SPACE DO YOU HAVE, OR DO YOU PLAN TO CHANGE IT? Your physical kitchen footprint defines the space you have available to work with, unless you can change this space by knocking down or moving a wall. 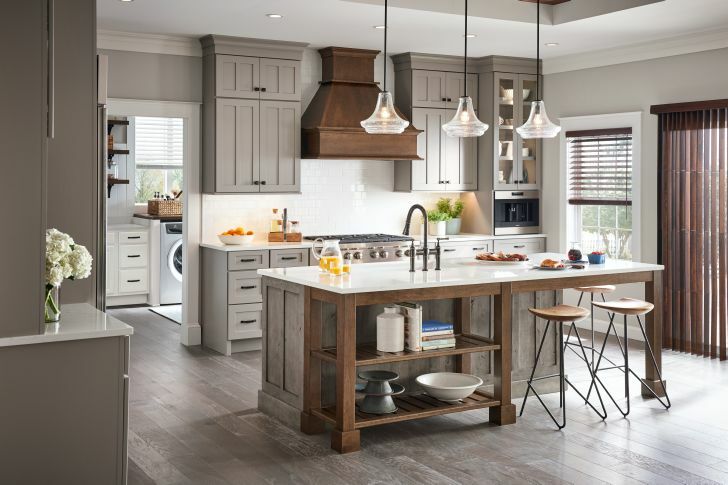 Your experienced kitchen design professional can help you assess your options and learn how to get the most out of your space, and where to best position your work zones. 3. WHAT WORKS IN YOU CURRENT KITCHEN DESIGN ( AND WHAT DOESN'T)? Whether you are remodeling your kitchen to update the style, improve functionality, or both, there are probably some things you love and want to retain while other aspects drive you crazy. Think about what you love and why and be sure to include that in your new kitchen design. Which elements of your design are you eager to change or what is completely missing from your existing kitchen? Make a list, look for inspiration on Pinterest, Houzz, Instagram, or visit our kitchen remodeling gallery to get more ideas. The old kitchen work triangle concept was built around the oven, sink, and refrigerator, as these were the key elements of every kitchen. Dishes were washed in the sink, food was cooked in the oven, and perishable items were stored in the refrigerator. Today’s kitchen is more complex, and may include more than one refrigerator, a separate oven and range, a microwave, a dishwasher, a built-in coffee maker and an array of other specialized appliances. Think about the appliances you use, both large and small, and which ones should be positioned together to help define your work zones. 5. WHAT ZONES DO YOU NEED? Every kitchen requires at least a food prep, cooking, and cleaning zone, but you could also include additional areas to meet your needs. An exclusive baking zone could include storage for your baking supplies, a stand mixer lift, and a section of marble countertop for rolling out pastry. Add a pet zone with built-in storage for pet food and supplies plus an out of the way location for food and water bowls. Figure out what is important to you and create your kitchen design zones around it. 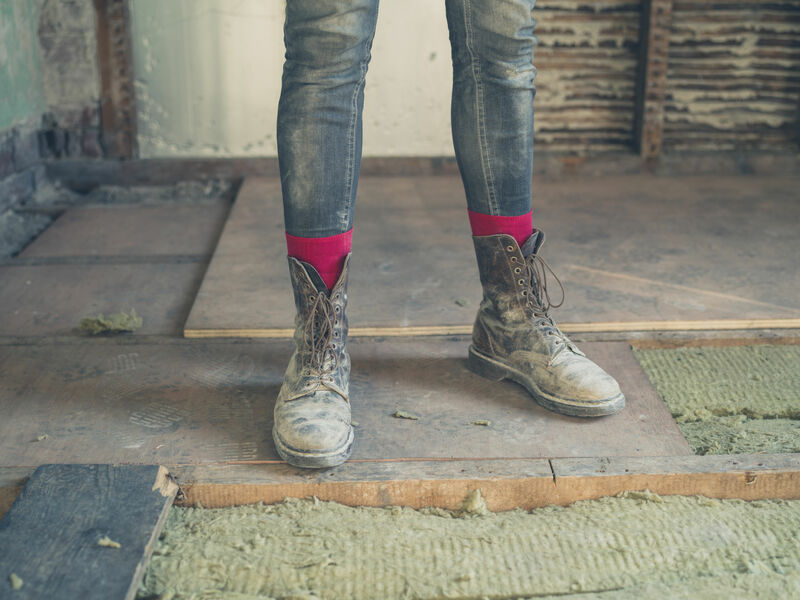 In the past year, 87 percent of homeowners decided to remodel. Specifically, this number relates to homeowners who wanted to make changes to the style of their kitchen. One of the biggest inspirations for remodeling is the swiftly changing – and modernizing – of appliances large and small. It’s a new age of connected everything, and kitchen technology is no exception, moving as fast as every other industry in developing hands-free, smart and interconnected, programmable systems and devices. It can be overwhelming to try and envision your modern dream kitchen. More than ever, the advice of a professional team of experts can make a world of difference when it comes to educating yourself on all the new advancements to be sure that you're making the best choices for bringing value to your life, as well as to your home. Do you really need a professional to remodel your kitchen? The kitchen is one of the most popular rooms in the home to remodel, with 26% of homeowners opting to upgrade theirs in 2018. Two-thirds of individuals state that they plan to carry out some of their kitchen renovation project themselves, while 35% say they’ll complete the entire upgrade single-handed. 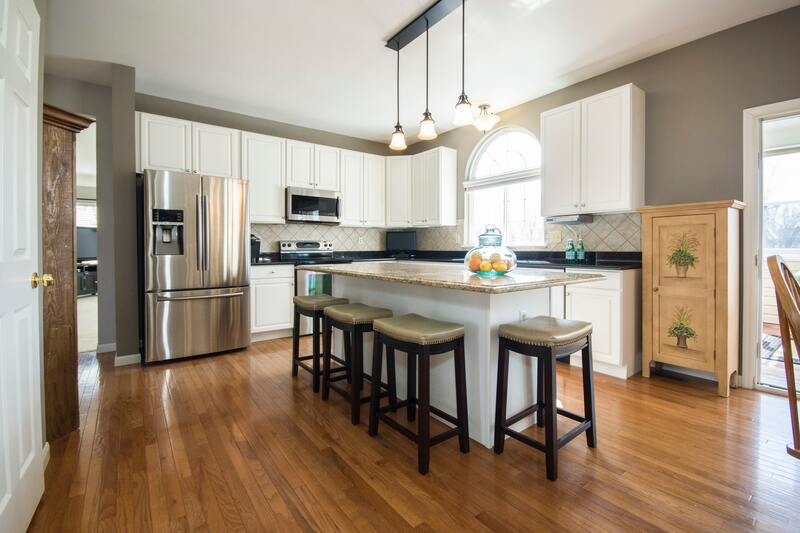 However, when it comes to overhauling your Southern Maryland kitchen, is it really worth going down the DIY route or is it wiser to call in the professionals? CNBC reports that in 2017, the average kitchen remodel cost 10% more than it did in 2016, with a large kitchen remodel costing $33,000. When you're investing such a significant amount of money into your home, you will want to ensure that you get value for money and that the work will stand the test of time. The National Association of Home Builders advises that when designed, fitted and maintained correctly, kitchen cabinets will last for 50 years and marble countertops for 20 years. Therefore, it’s wise to ensure that the experts play a role in your project. When carrying out a project in your kitchen, you’ll require an ample supply of tools, some of which you won’t typically find in your standard tool bag or shed, such as a router and a special jig which cut worktops to shape. 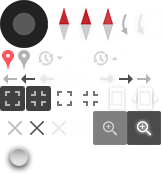 Therefore, you’ll need to purchase or hire these tools from a local Southern Maryland trades company. Before you start working on your new kitchen design, you should practice using these tools and make sure that you are confident in handling them to avoid making any costly mistakes. Last year, 19% of homeowners went over their budget during renovation works in their home. So, if you feel unsure about what you’re doing, it’s best to call on the experts. Statistics from the Home Safety Council reveal that one in five individuals who tackle DIY projects in the home end up in hospital due to an accident that occurs when working on the project. Depending on the extent of your injuries, this can result in your project taking longer than anticipated. 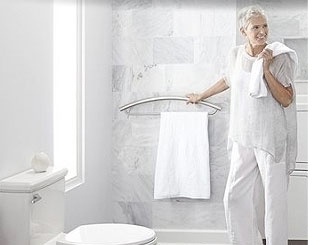 Therefore, it’s essential that you prevent kitchen remodeling injuries by taking extreme care and precautions. It’s recommended that someone else is at home with you to assist with constructing and hanging larger items, such as kitchen cabinets, as well as for safety reasons. And, if you're ever in any doubt about the work you're carrying out, you should down tools and contact your local Southern Maryland kitchen designer for assistance. 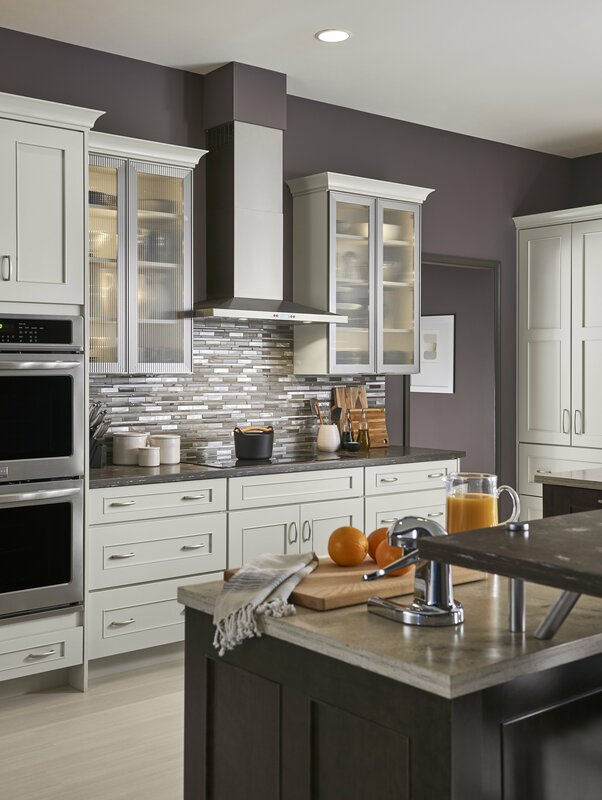 When it comes to upgrading your kitchen, many homeowners consider taking on the job themselves in a bid to save cash. However, incorrect installation and tools can end up pushing your budget to the max. Meanwhile, failing to follow safety precautions can delay your project and lead to unwanted stress. Many people feel that their kitchen is the heart of their home. After all, most people spend a large amount of time in their kitchen preparing meals for the day. However, modern technology is helping to streamline the cooking process and keep your cook time to a minimum. If you haven't started to consider how technological upgrades can make your kitchen both the central feature in your home and a more efficient place to cook, now might be the time to consider all of the impressive tech available for modern home chefs. When we say everything is connected, we are not talking in the metaphysical sense. Instead, in your kitchen, everything being connected relates to smart devices. Everything from your fridge and stove to your ventilation and exhaust fan can work with a smart home system these days. Some of them will even accept audio commands. A central hub can controls all of your devices, which makes tasks like washing dishes extremely easy, as you can verbally instruct your dishwasher to do the dishes for you. Most of the modern kitchen appliances and gadgets that come with smart technology will also come in an array of finishes and colors. While picking items that look good in your kitchen is important, it's also important to prioritize safety. Make sure that you take steps to protect these devices to prevent someone outside from hacking your smart kitchen. Are you still using a handheld device to open your pickle jars? Do you use one of those rubber grip pads? There is actually a device now that can open pressurized sealed jars for you. Many of the kitchen gadgets you may have thought of as timeless solutions have since become outdated. Everything from can openers or two knife blocks are drastically different. Even food storage is upgraded and changed. There are now silicone sleeves that fit over cut produce, keeping it fresher longer and reducing the waste of plastic bags, aluminum foil, and plastic wrap. You can also buy a self-heating knife or ice cream scoop to make serving simpler. Whether you're building a new house or upgrading your existing and outdated kitchen, modern kitchen technology should feature in your designs. Whether you want to be able to turn your stove down from across the room while you are chopping your vegetables or start your dishwasher through your cell phone, the possibilities are endless. Integrating modern technology into your kitchen will make cooking and cleaning up after the fact a much simpler process. Imagine: it’s a dream come true! You’ve worked with a designer to put together your perfect space together, picked out the materials straight from your Pinterest board, and everything amazingly came in slightly under your budget. You signed that contract to take advantage of some awesome deals and you are scheduled to begin the process of creating your brand new space in a few weeks. We’re going to share some insight on what to expect, as well as some tips to power through the remodeling process and hopefully maintain some of your sanity! 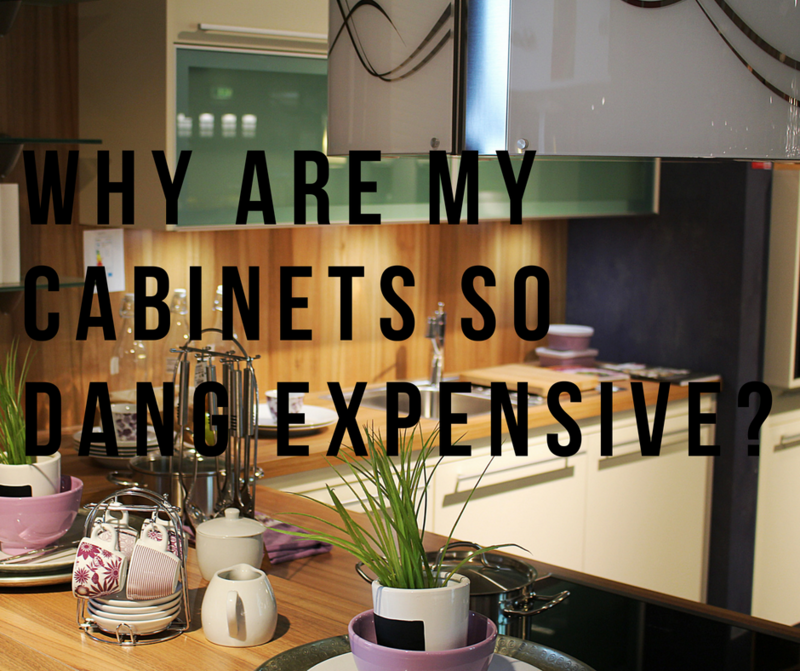 Why Is My Cabinetry So Dang Expensive? Countertop Upgrades: Which One is Best Suited for Your Space? 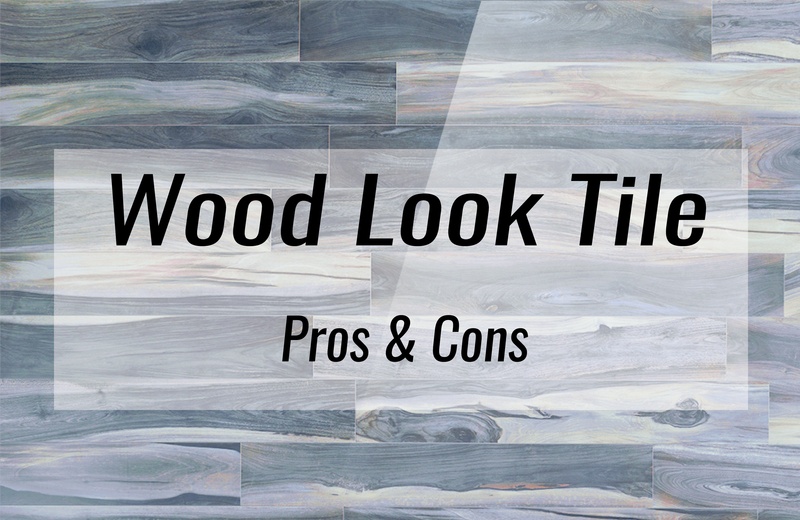 If your selling your home, looking to upgrade from your original kitchen materials, or finally want to spend the money to get that quartz countertop you’ve been eyeing, knowing the difference between the look and functionality of the countertop materials is half the battle. 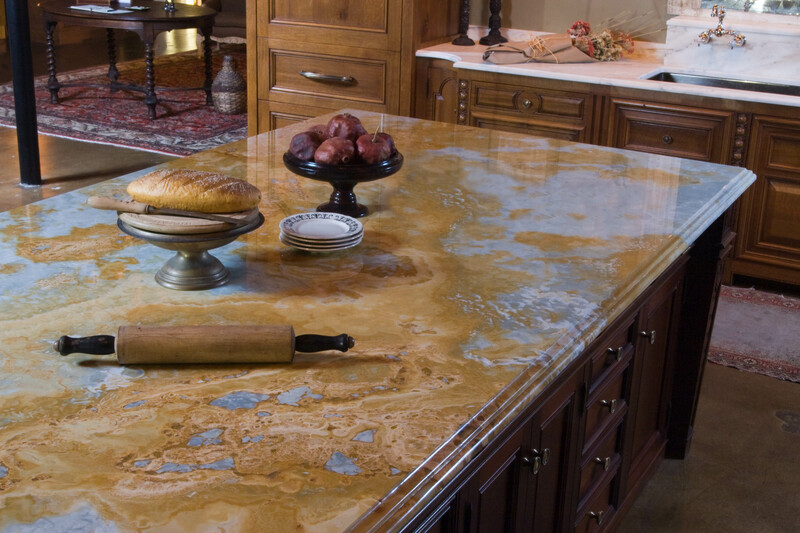 With all the new materials on the market, countertop upgrades are ever changing with plenty of options for you to choose from. There’s so much more to take into consideration than whether you prefer stainless or colored appliances, gas or electric cooking. 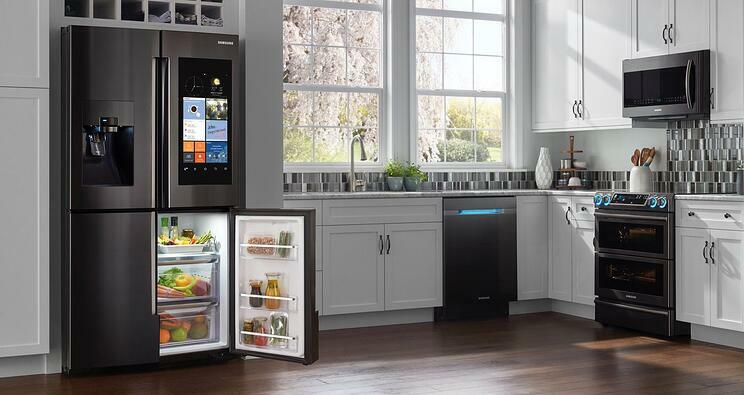 Today’s wireless and voice controlled options for everything from dishwashers to refrigerators must be coordinated carefully to work – and play – together. With Amazon Alexa, Echo and Google Home systems, and smartphones of all kinds to help program your efforts, you want to be sure that all the smart items you pick, including your oven, refrigerator, dishwasher and your new small appliances, make sense as an integrated unit working off the same platform. When planning out your new kitchen, you will find that many of your older, smaller appliances need to be replaced; you will first want to make upgrades to all those you use most. With the worry today about sterilization and water waste, be sure to look into touch-free faucets and waste containers that react to the wave of your hand. Coffeemakers add programmable and brewing features all the time, but there are also now tech-savvy tea brewing machines that can not only prep your tea to your preferred strength, but also manage caffeine to your preferred level, and blenders designed to make perfect healthy smoothies or which adapt into food choppers. From installing heated flooring in your kitchen all the way up to investing in gadgets that hold bottles in the ceiling of your refrigerator to make more space, there are endless possibilities to make your dream workspace one that Jane Jetson would envy. Whether it’s the latest in cooking and baking gadgets or a built in composter, no matter what direction you take or color you choose for your counters, it’s definitely an exciting time in the world of technological advancements to get cooking. Servicing: California, Hollywood, Leonardtown, Lexington Park & Mechanicsville MD.